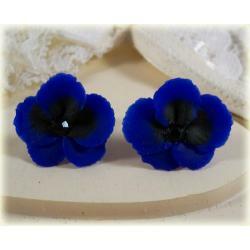 Blue Pansy hair flower as a unique addition to your hair style. 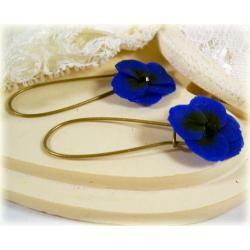 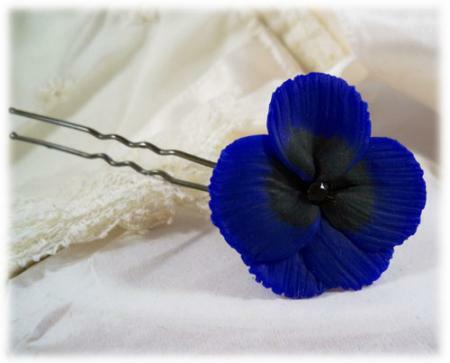 Blue hand sculpted Pansy hair pin with a Swarovski crystal center. 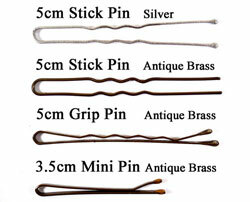 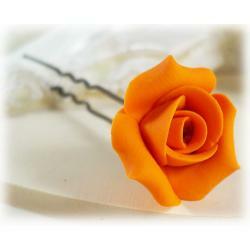 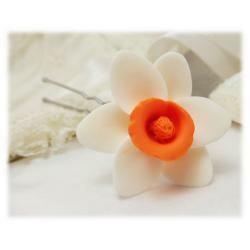 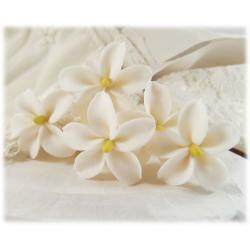 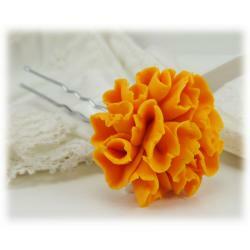 Choose from multiple sizes and hair pin styles.